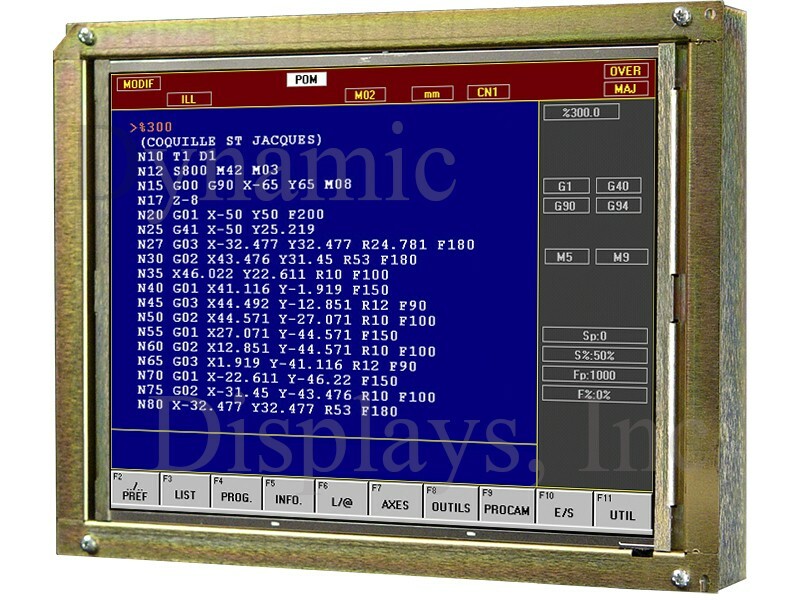 Model QES1514-011 14.1 In LCD replaces Milltronics VM17, 14 In Color CRT Monitor used in Centurion IV CNC Control. This 14.1” Open Frame Monitor uses an Active Matrix Color LCD designed to fulfill many 14” CRT Monitor applications. 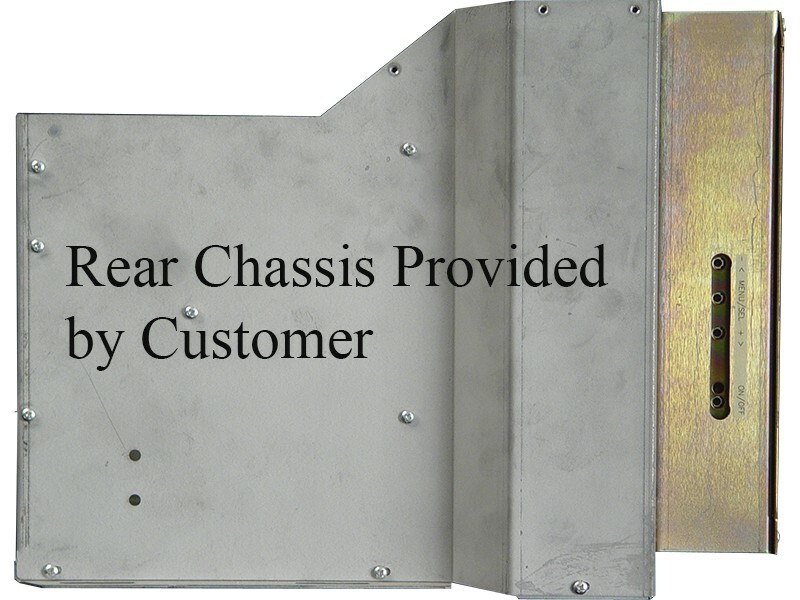 Its rugged steel chassis is designed to drop into the mounting holes of the original 14” CRT Monitor. Its multi-frequency plug & play capability enables this versatile 14.1” Open Frame Display to interface with a wide variety of video formats for easy replacement for your legacy 14” CRT Monitor. Our 14.1” Industrial LCD Monitor has been designed specifically to replace obsoleted 14” CRT Monitor. 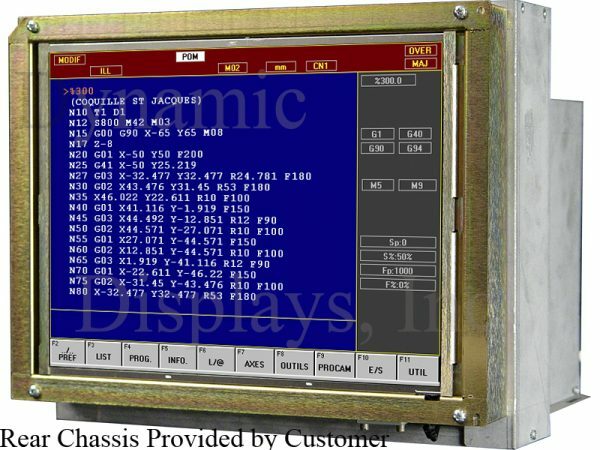 This 14.1” LCD Display is a high performance Industrial Flat Panel Display, designed for commercial and industrial applications such as replacement for CNC Terminal Monitor, ATM Machines, and aviation simulators. With 15KHz through 100Khz operation, this unit displays high quality, high resolution color images from VGA through XGA resolutions. Standard features such as multi-language on-screen display, DDC1/2B Plug and Play, and wide viewing angle capability make this versatile LCD monitor a good choice for your industrial legacy display systems.